BONUS: This edition contains an excerpt from John Grisham's The Confession. 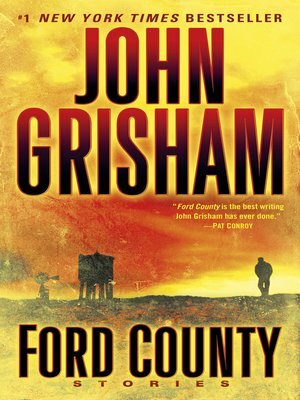 New York Times bestselling author John Grisham takes us back to Ford County, Mississippi, the setting of his first novel, A Time to Kill. This riveting collection of short stories features an unforgettable cast of characters: Wheelchair-bound Inez Graney and her two older sons embark on a bizarre road trip through the Mississippi Delta to visit Inez's youngest son, Raymond--on death row. A hard-drinking, low-grossing divorce lawyer fed up with his wife, his life, and the law plans a drastic escape after an unexpected phone call. A quiet, unassuming data collector sets out to bring down a flashy casino owner with his skill at blackjack--as payback for the theft of his wife. A stalker hunts victims in a retirement home, a lawyer confronts a vengeful adversary from the past, and a young man from a prominent family is driven off by scandal and fear--but finds unexpected redemption on the wrong side of the tracks. Often hilarious, frequently moving, and always entertaining, this collection makes it abundantly clear why John Grisham is our most popular storyteller. John Grisham has written twenty-two novels, including The Confession. He has also written a fiction collection, and one work of nonfiction, The Innocent Man. He lives in Virginia and Mississippi.